Every Windows 10 update version adding some new features like in terms of video and image file. The next Windows 10 version known as 1903 or 19H1 will support RAW image file. 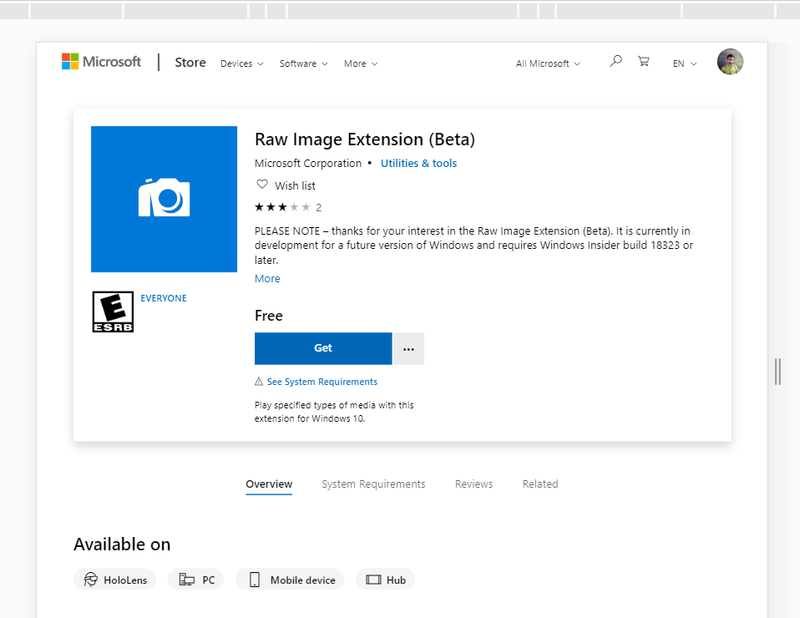 But Windows 10 1903 is yet to be launched so Microsoft has released a RAW Image Extension for early access to RAW Images in Windows 10 PC. This extension allows you to open RAW image files in Windows 10 without in third-party software. As soon as the launch of Windows 10 Build 18323, Microsoft had launched this codec for RAW file open. Once you have download this extension and installed on your Windows 10 PC you can preview RAW image file including the camera metadata. You can view the RAW image file at full resolution. So how to open RAW images in Windows 10? Before you hit the download button of raw image file extension make sure your Window 10 PC is running build 18323 or above. If you don’t know how to check build number then follow this below link. If you are having Windows 10 build 18323 or above then you can proceed to open RAW images on your Windows 10. Now you will be able to open RAW image files on your PC, preview thumbnail or full resolution images. All these images will be open via Windows 10 by default app or photo app.